Mr. Mel Kauranen has accepted the position of high school history teacher for Bible Baptist Christian School beginning fall 2014. 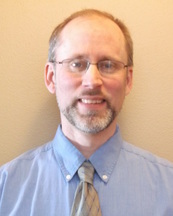 Mr. Kauranen graduated from Northland International University in Dunbar, Wisconsin with a BS in History Education. He student taught at Tri-City Christian School in Independence, Missouri where he was responsible for junior and senior high history and also taught Bible. Mr. Kauranen and his wife Bonnie have six children. Four of their children are grown and out of the home. The have a son and daughter still at home that will be attending BBCS in the fall. We are thankful to the Lord for leading the Kauranens to join the BBCS family. Miss Kristen Hudgins has accepted the position of high school math teacher for Bible Baptist Christian School beginning fall 2014. Miss Hudgins graduated from Bob Jones University in Greenville, South Carolina, with a BS in Math. She traveled with the BJU Robotics team throughout the northeast and worked with many high school students in that great program. She has tutored students and adults in math. We praise the Lord for this wonderful addition to the BBCS high school staff! Miss Cathy Teel has accepted the position of high school science teacher for Bible Baptist Christian School beginning fall 2014. 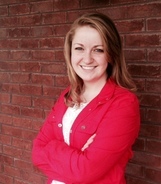 Miss Teel graduates from Bob Jones University in Greenville, South Carolina, with a BS in Composite Science Education in May 2014 with Dean’s List Honors. Her comprehensive science major qualifies her for all life and physical sciences, including Physics. She is committed to growing students academically as well as spiritually. Her over 100 hours of classroom experience includes teaching Honors, College Preparatory, and International Baccalaureate classes in Biology and Chemistry. She also initiated help classes for students who were behind in science at Traveler’s Rest High School in Traveler’s Rest, South Carolina. We praise the Lord for His provision for this vital part our high school academic program. Boys’ pants: You may purchase black or khaki pants from any store that carries uniform clothing. They need to be uniform pants. They may have flat fronts or pleated fronts. 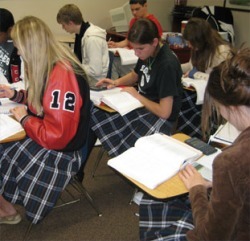 Girls’ skirts: All skirts must be worn to the bottom of the knee. School shoes must be school colors [black, brown, red, or tan]. Please no high heels or flip flops. You may wear Crocs or potato shoes as long as they are school colors. Elementary may wear athletic shoes, as long as they are predominately school colors. All jackets, sweaters, and sweatshirts worn in the classroom must be school colors. They may not have writing on them except a small logo. You may order a school hoodie at Parent Orientation or in the school office the first week of school. We have three companies that you may purchase school clothing from: Buckhead Uniforms in Morrow, Everyday Apparel & School Uniforms in McDonough, J & R Clothing in Fayetteville. Physical Education Uniforms: Students in grades 6-9 will need PE Uniforms. They can be purchased at Parent Orientation or in the school office after school begins. The 2009-2010 Bible Baptist Christian School Bells of Praise won first place in the Georgia Association of Christian Schools State Fine Arts Competition in March. They advanced to the American Association of Christian Schools National Competition at Bob Jones University in Greenville, South Carolina, in April. The BBCS Bells of Praise also performs for the annual Christmas concert, fine arts showcase, spring music concert, and other fine arts venues and competitions. The Bells of Praise is directed by Mrs. Lynn Borton. I want to thank all of the JV players for their hard work and dedication, beginning with the long drive to Clearwater Christian College camp and ending with a difficult conference schedule. I know our JV team has not been able to get over the third place hump, but I have seen each player improve in their individual skills. Thanks to the freshman girls for being leaders on the team. Thanks to all the girls who have a passion for this game. I want to thank Coach Larson for her faithfulness as my assistant coach. She has been an asset to BBCS volleyball program. Thanks to the parents who once again consistently showed support to the JV team. PAYMENT: After completing and submitting your online ad form you will be directed to a confirmation page and given the option to make a secure payment through PayPal. If you do not wish to use PayPal, or the amount of your ad total is not listed as an option, please call the school office at 770.946.4700 to make other payment arrangements. 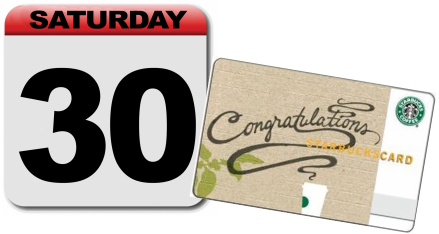 Congratulations to Rachel O'Neal who won the $25 Starbucks gift card for the alumni registration drive that ended March 31! Her name was drawn by a current BBCS student. and enter to win a $25 Starbucks gift card! BBCS held it's annual Volleyball Classic tournament in August 2008 with invited teams Crown, Faith, Jubilee, Killian Hill, Mt. Area, Peoples, and Shiloh Hills. The lady Eagles went into the championship game undefeated and beat Peoples for the win! 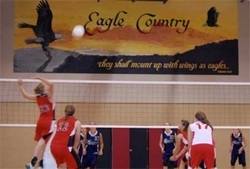 Then, following an outstanding season, the lady Eagles went on to defeat Shiloh Hills and become the 2008 Georgia Christian Athletic Association (GCAA) State Volleyball Champions! The following year, the lady Eagles defeated cross-town rival Peoples Baptist Academy to become the 2009 GCAA State Volleyball Champions! Congratulations to the lady Eagles and Coach Bob Rossiter for back-to-back wins!